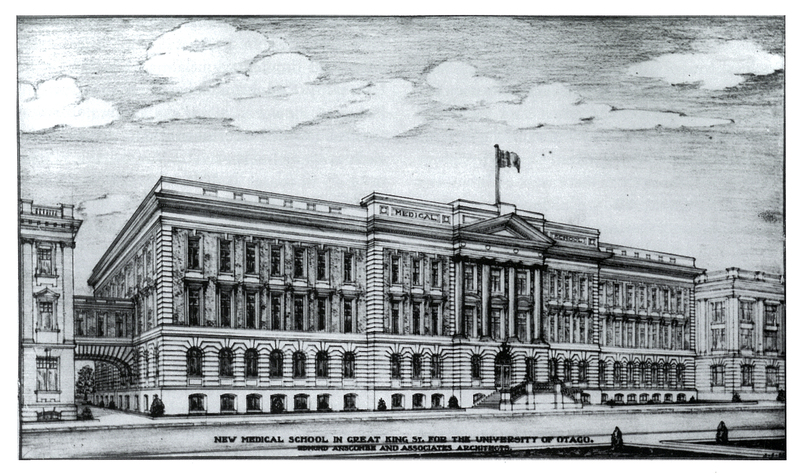 The New Otago Medical School, Lindo Ferguson Building, Dunedin. Designed by Anscombe and Associates and built in 1927. Dorothy Page, “Anatomy of a Medical School: A History of Medicine at the University of Otago 1875-2000,” ourheritage.ac.nz | OUR Heritage, accessed April 22, 2019, http://otago.ourheritage.ac.nz/items/show/11070.